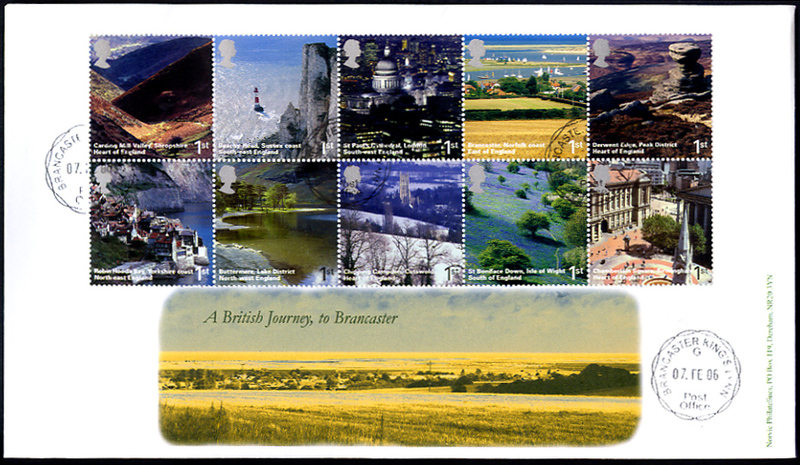 Royal Mail has announced the subjects for the last set of stamps in the British Journey series. The series started in Scotland, moved on to Wales and Northern Ireland, and moved into South West England in 2005. But whilst the subjects are mostly well-known the designs have not been universally welcomed, and the series has come to a premature end with this se-tenant block of 10 x 1st class stamps. The photographs used for these stamps do appear to be an improvement on earlier sets. Technical details: The stamps are designed by Phelan Barker Design Consultants, and the 35mm square stamps are printed in gravure by De La Rue Security Print, perf 14½. 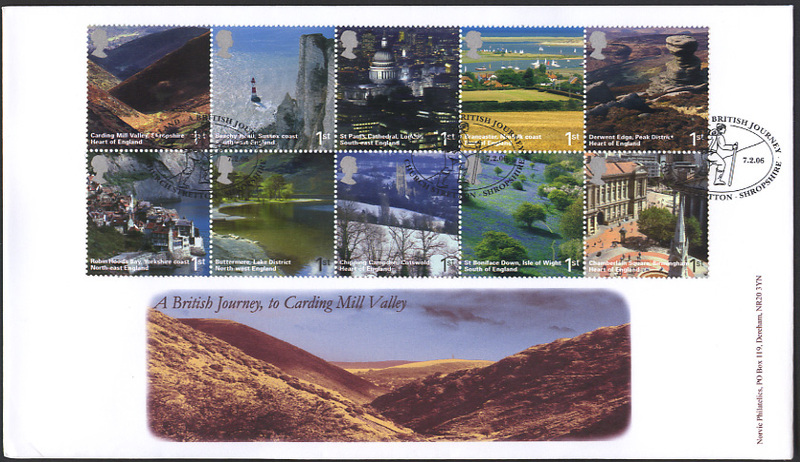 The stamp and postmark images are Copyright 2005/6 by Royal Mail. As usual we will have exclusive FDCs for this issue, as shown below. 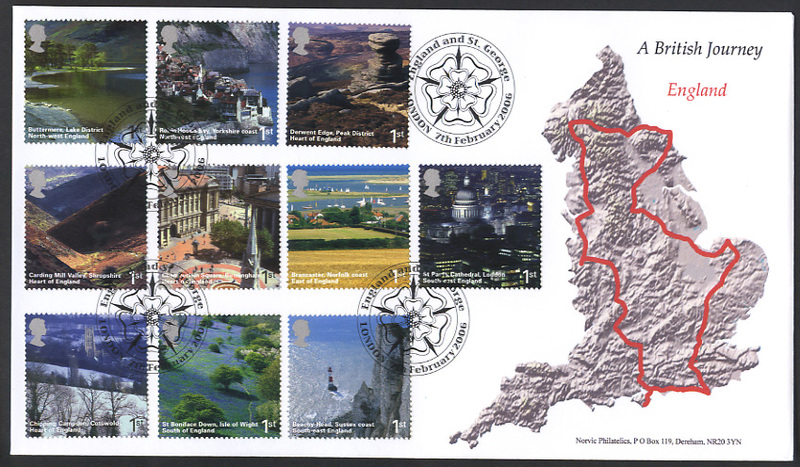 These are available with postmark N9941 (map) or L9908 (English Rose), Price £8.95. (also available on PO fdc (5 produced by us), price £7.50. Special Day of Issue postmarks are shown below. To conatct us about this page , please e-mail us. To order stamps and covers, please use the shop link above.